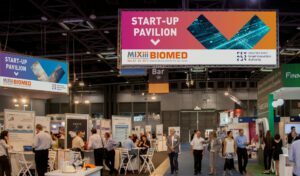 As in previous years, one of the highlights of the MIXiii-Biomed Exhibition will be the Start-up Pavilion. Strategically located at the exhibition center this space will be dedicated to providing a powerful, high-end platform for maximum exposure and business development opportunities for innovative start-up companies. In order to be included for selection in the Start-up Pavilion, companies are required to submit an application form via the event website.